Schnell ist der Müllbeutel um den Eimerrand zugezogen und geschlossen, verhindert somit das Hineinrutschen und gleichzeitig das Verschmutzen des Mülleimers. So einfach und wirklich praktisch! Gibt’s natürlich in verschiedenen Größen. Disposing of waste is also very easy: Simply knot the elastic fixing cord and you have a practical carrying handle. 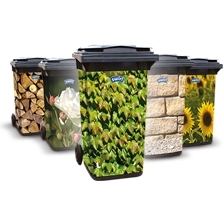 Now there is finally an end to bin liners slipping into the bin. 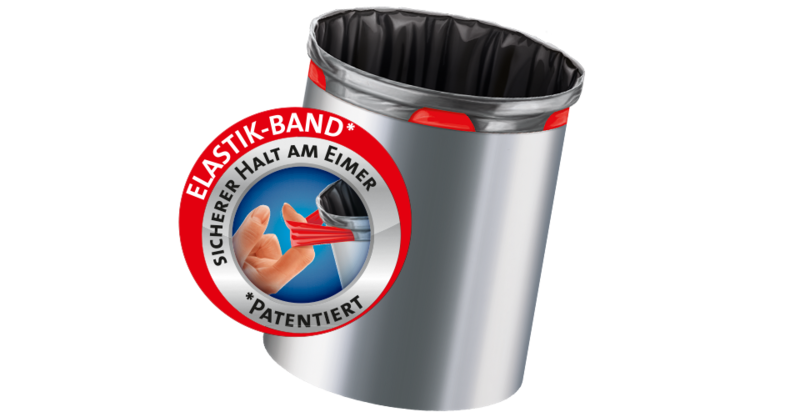 Because Swirl® has the solution: practical elasticated bin liners, which are fixed to the edge of your bin in a flash. Simply fix and you're finished. And it's just as easy to dispose of the bag: just take it off the edge of the bin, knot the elastic fixing cord and using the practical carrying handle take it to the outside bin. Four different sizes available for every need.